Well. A blog. About everything I find interesting. Orginal, huh? A while ago I 've written a Wikipedia article about one of the most popular Polish World War II-era songs. Working with another Wikipedian (Nihil Novi), we translated the lyrics into English in 2008. (As with most copyrighted works, it is next to impossible to figure out who owns the copyright, and if there is such a thing as"Schütz estate" at all... sigh). Czy widzisz te gruzy na szczycie? Do you see the rubble at the top? Tam wróg twój się kryje jak szczur! There, like a rat, lurks your foe! Za kark wziąć i strącić go z chmur! But from the clouds the enemy throw! Jak zawsze za honor się bić. To their honor they harnessed their will. Lecz od śmierci silniejszy był gniew! 'Mid death, and to their anger stayed true! Czerwieńsze będą, bo z polskiej wzrosną krwi. Will be redder for Poles' blood in their soil. Runęli przez ogień, straceńcy! The forlorn hope charged through the fire! Runęli impetem szalonym Like those at Rokitna years ago. I doszli. I udał się szturm. And they made it, and carried the day. Zatknęli na gruzach wśród chmur. In the rubble amid the clouds. Czy widzisz ten rząd białych krzyży? Do you see the white crosses in a row? To Polak z honorem brał ślub. That's where the Poles pledged their all. Tym więcej ich znajdziesz u stóp. The more you'll find them fall. Historia ten jeden ma błąd. That is history's lesson dear. Although the music to Czerwone Maki na Monte Cassino (Red Poppies....) was composed by Alfred Schütz, the lyrics were written by Feliks Konarski, pseudonym "Ref-Ren". The copyright is still owned by Konarski's family, who live in Chicago. Lyrics are by Feliks Konarski, music is by Alfred Schutz. We have moved! 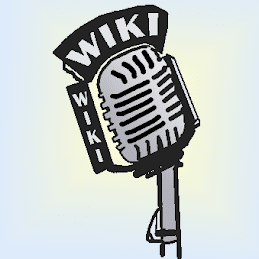 - Please catch the new Wikimedia blog at https://wikimediafoundation.org/news/. Voice of the Prokonsul by Piotr Konieczny is licensed under a Creative Commons Attribution 3.0 United States License.